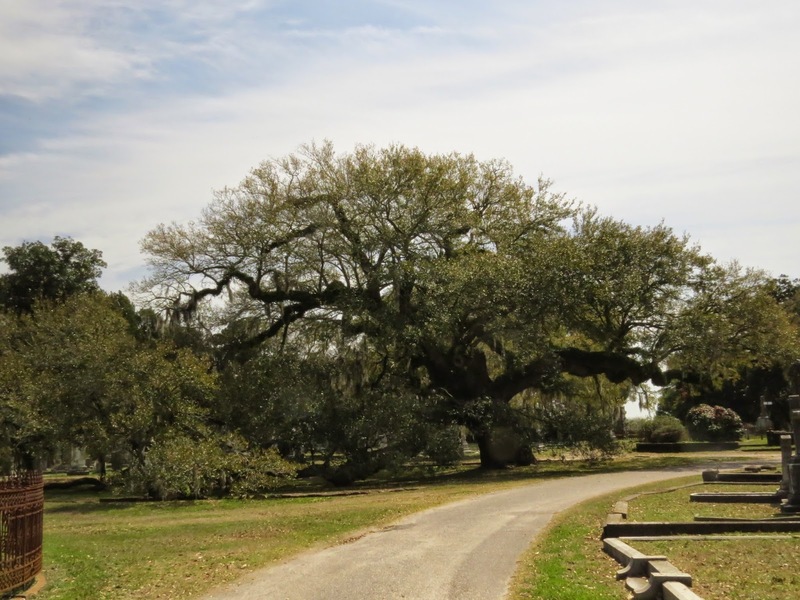 On behalf of the board of trustees of Magnolia Cemetery, I would like to extend our sincerest gratitude to first Alys Anne Wiedeke for nominating our grand oak tree in the non-profit category. 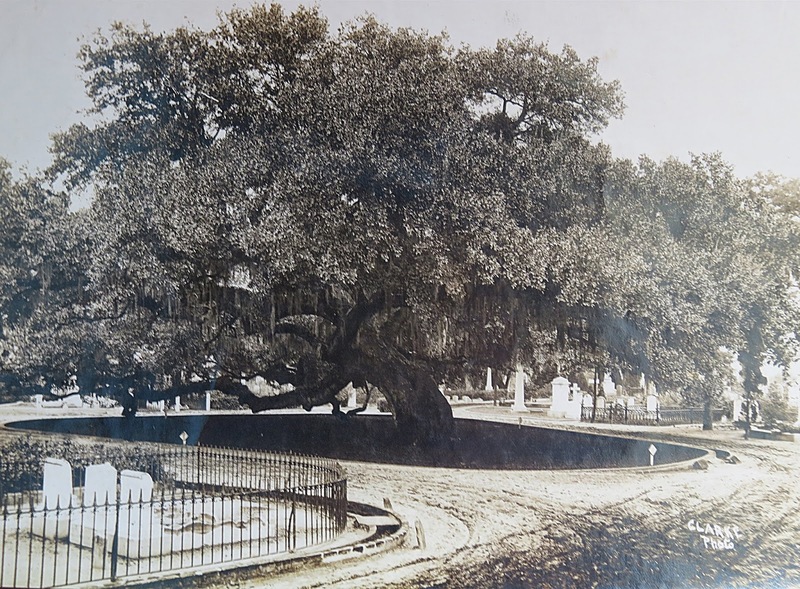 We thank the Charleston Horticultural Society and the Tree committee for recognizing and appreciating the "Grandfather Oak" (a name we here at Magnolia gave it) and our efforts to maintain not only the health of the Grand Oak but all the trees at our cherished Magnolia Cemetery. Last but not least we thank and give credit to our lot holders, families and friends who year after year generously donate to the Magnolia Cemetery Trust Memorial Fund. Without their donations we would be hard pushed to keep our trees healthy and maintained. Pictured below are Beverly Donald, Superintendent, Park Smith, Trustee for Magnolia and Ayls Anne Wiedeke who nominated our tree. 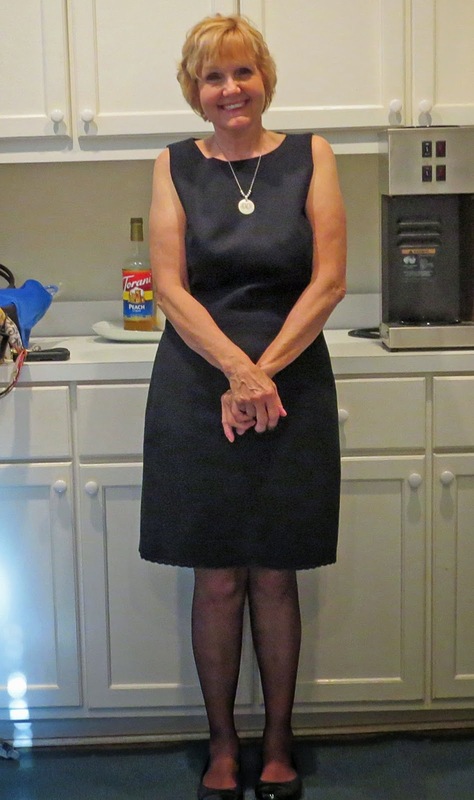 Also in attendance from Magnolia Cemetery was Marcia Beczynski. We here at Magnolia consider this to be a great honor. Saturday's book signing. "IN THE ARMS OF ANGEL" by Patrick Harwood proved to be a great success.Everyone that came out had a great time and various stories to share. I was surprised how many of the visitors were under the impression that Magnolia Cemetery was no longer selling grave spaces. We are a full service cemetery offering ground space and mausoleum spaces for full casket and niches for cremated remains. 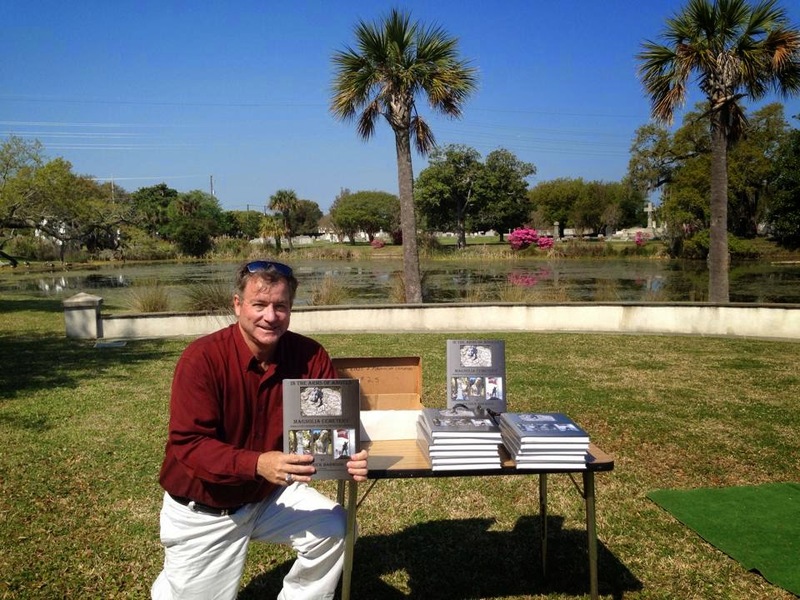 If you missed Saturday's book signing here at Magnolia Cemetery don't fret because Professor Harwood will have his second signing at the College of Charleston's Cougar Mall from 11 a.m.-1 p.m.Thursday, April 17, 2014. As we quickly approach Easter, we have only to look around the cemetery to witness the glory of the the magnificence rebirth of color as the camellias and azaleas peak with blooms. If you haven't been out to see GOD'S beautiful work of art here at the cemetery we encourage you to do so quickly as the blooms do not last for long. If you make it to Magnolia this Saturday April 12, 2012 between the hours of 10:00 A.M. and 1:00 P.M. you will be in for a treat. Professor Harwood will be signing his new book "IN THE ARMS OF ANGELS MAGNOLIA CEMETERY Charleston's treasure of History, Mystery and Artistry." We are once again offering to place Easter lilies on the grave of your loved ones for the cost of $20.00 per plant. If you haven't made arrangements with the office for this service please do so before April 16, 2014 by contacting us here at the office. Magnolia's landmark oak tree has captured the attention of the Charleston Horticultural Society. 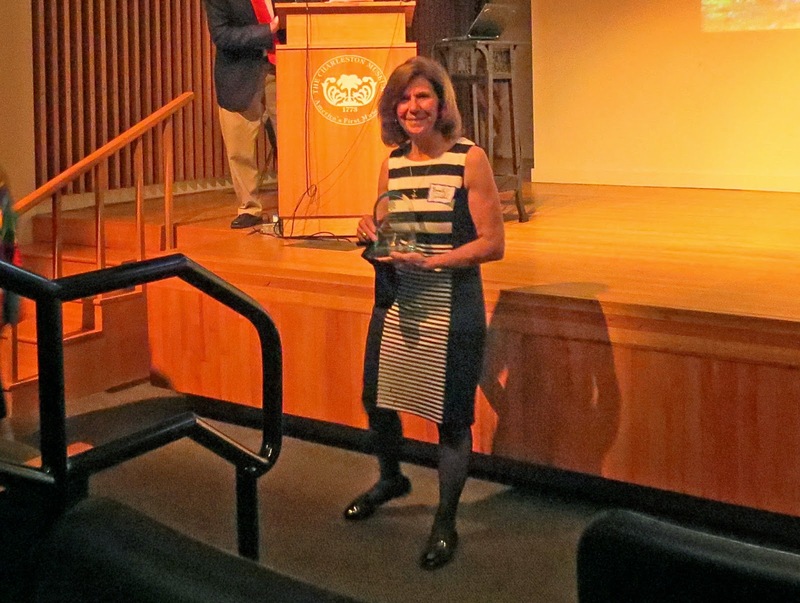 Annually the tree committee of the CHS presents numerous awards to trees in the city of Charleston. 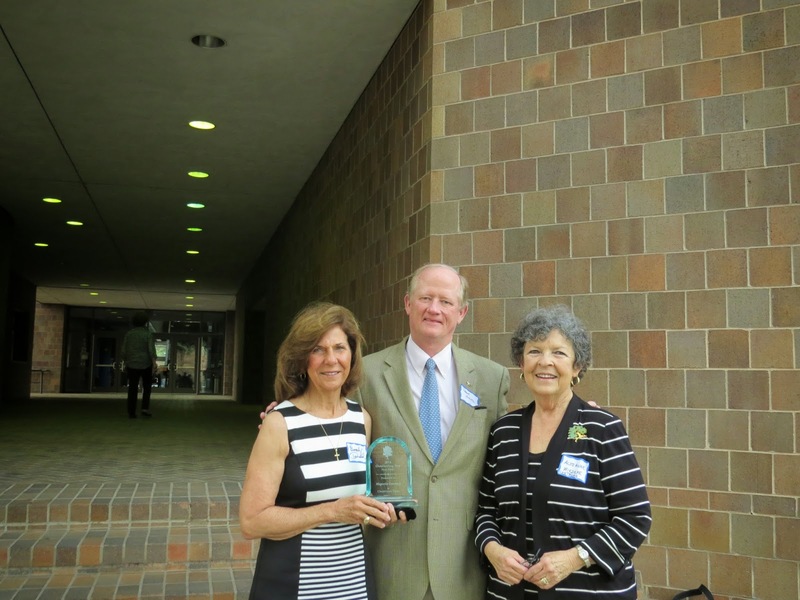 This year the grand oak at Magnolia was nominated and won in the non-profit category. The old oak tree has a circumference of 25 feet and a bough spread of 117 feet. Its height is 60 feet plus. I talked to P. O. Mead of Mead's Tree Service about the age of the tree. He feels safe with 800 plus years. I have a postcard that was published in 1898 and postmarked 1908 on which the publisher states the age as 800 years old. If we add an additional 116 years to the date of 1898 we get an age of 916 years old. I looked up information about a dinner party held at Col.Willliam Cunnington's house (now the office) here at "Magnolia Umbria." This party was in honor of a visit from Gen. George Washington to his intimate friend Col. William Cunnington. I'm almost sad to report that it was held under the magnificent "Magnolia" from which the whole Cunnington estate was named. However, I feel sure it was one of the old magnolias that was lost due to Hurricane Hugo located by the plantation house and the old oak tree. I feel sure George would have ventured to stroll beneath the branches of such a magnificent oak tree. In 1989, during Hurricane Hugo, an eighth of the tree that spread across the now paved road to the west was lost. Due to the quick response and diligence of Mead's Tree Service unfamiliar on-lookers would not be the wiser as to the missing branches. The tree recuperated from its damage with no problems. Seen below is an old picture of the oak tree dated "Snow Storm of 1898" by Clarke studio and another that I took just this week. If you have never had the pleasure of seeing the "grandfather oak" as we here at Magnolia call it please take the time to come by and visit. Open Daily 8 a.m.-5 p.m.
Any common interest groups, educational, military or other wise stated, having business to conduct at Magnolia cemetery, should have prior written permission from the Superintendent of Magnolia Cemetery. Any groups requiring more than two regular vehicles will be considered a tour and should call ahead for permission and to insure that a funeral service will not be in progress during your visit. No buses or large vans will be allowed within the cemetery gates at anytime. Magnolia Cemetery is a full service cemetery offering in-ground casket interment and in-ground inurnment for cremated remains. We have the only chapel mausoleum in the city of Charleston. The Mausoleum has accommodations for both casket and urn entombment. Also, located adjacent to the large lagoon, you will find a beautifully landscaped area designated only for burial of cremated remains. However, if one chooses not to bury the ashes in the ground we offer a service that provides for scattering or placing the ashes in the lagoon (as seen in the photo above). This lagoon is tidal fed and the ashes will eventually migrate to the Cooper River. For more detailed information about our services or offerings please contact the Magnolia Cemetery Office at the above contacts or you can stop by the office and talk to one of our staff members. Magnolia Cemetery first opened in 1850. It is on the land of a former rice plantation. The property was designed during a new rural cemetery movement that crossed from Europe to America in the mid-19th century. With lovingly landscaped paths and ponds, trees and green space, Charlestonians would come to Magnolia to picnic and play, as well as visit lost loved ones. Today, Magnolia Cemetery continues as one of the best and most beautiful examples of rural and Victorian cemetery design in the U.S. A "who's who" of Charleston and South Carolina history is buried here. Far from a museum to the past, Magnolia continues to grow and still has many burial opportunities on its venerable grounds and modern mausoleum. Charleston's The Post and Courier recently ran a detailed interview with longtime Magnolia Cemetery Superintendent Beverly Donald. Click here to learn how Donald has made the cemetery the unique and beautiful place it is. The Post and Courier online version also includes a wonderful photo montage of the cemetery by the paper's award-winning photographer Wade Spees! 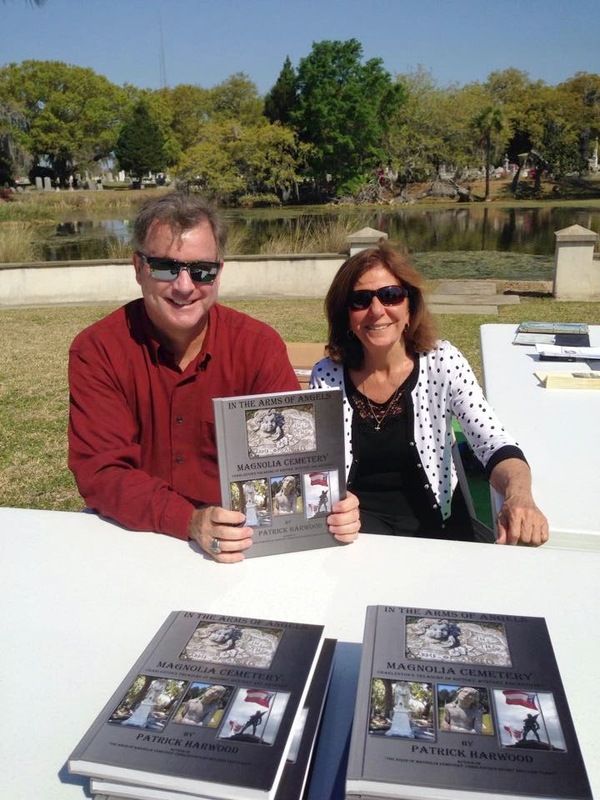 Patrick Harwood's coffeetable book, "The Birds of Magnolia Cemetery: Charleston's Secret Bird Sanctuary," is available for sale in the cemetery office. To see a video about the book, click on the link above under Magnolia Cemetery Videos. 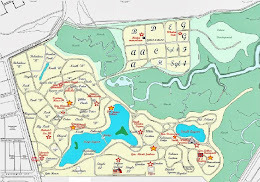 The cemetery is more than 130 acres. Roads are both paved and dirt. The cemetery can easily be navigated by vehicles no taller than a large passenger van, bicycle or on foot. 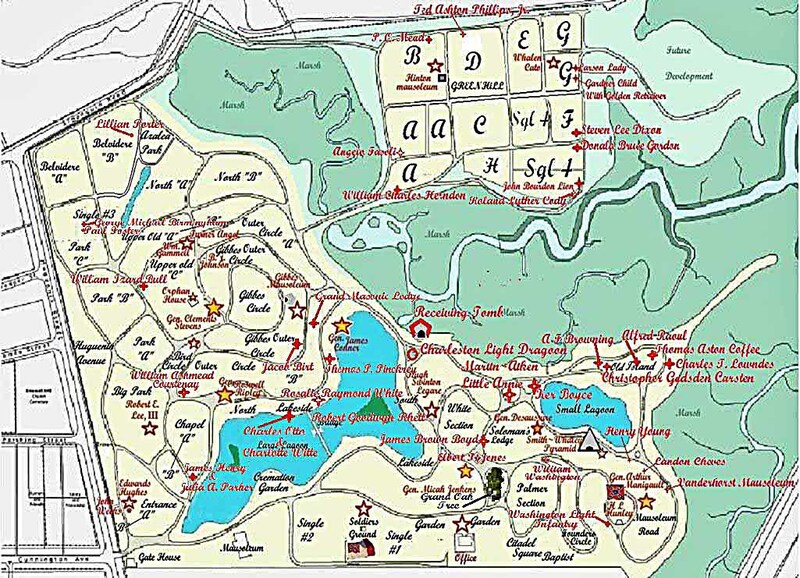 A walk map is available at the cemetery office, Monday through Friday, 8:00 a.m. to 4:00 p.m.